It was around 11:00 this morning when I spotted a small flock of Bohemian Waxwing on the ornamental cherry tree in our back yard. It may be ornament to us but to the Waxwings it is a nice light snack and a source to fill up their great need for amunition to deposit on our van. In years past they have made their visit to our yard almost exactly at this time of the year. In 2000 I reported here in Ensign how they came and feasted then completely plastered the van parked in the driveway. But this year I have revenge on this bunch. 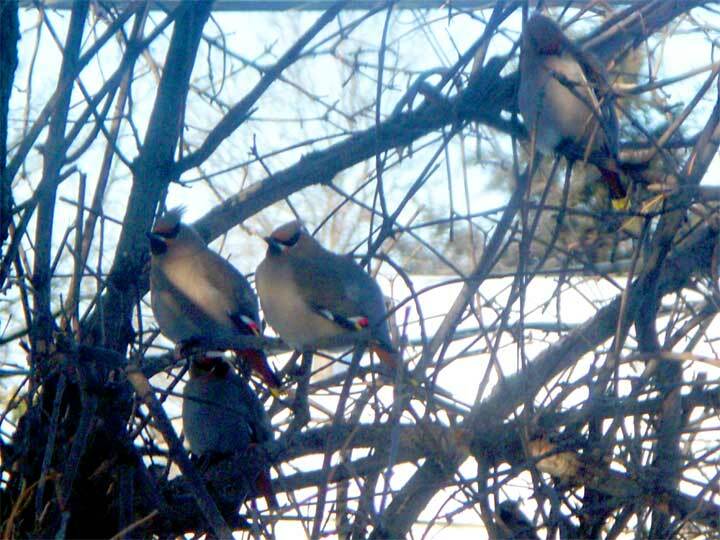 During the summer we had the huge poplar tree that hung over the driveway removed and the frustrated Waxwings were unable to carry out their 2009 mission. 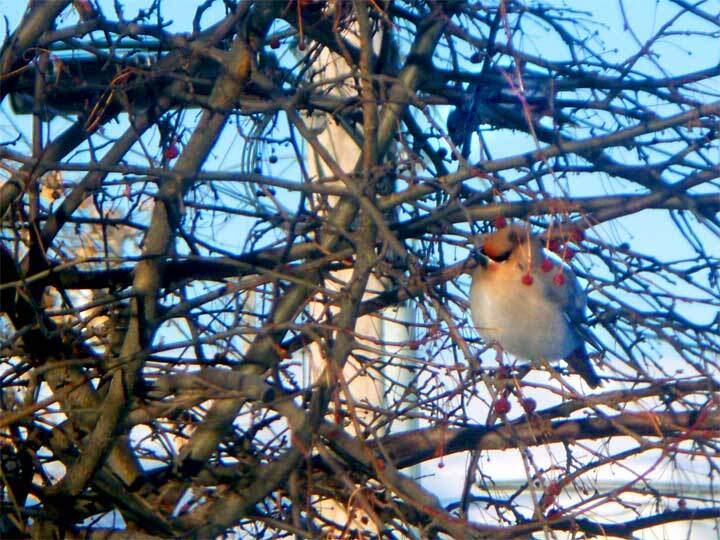 Bohemian Waxwings are similar to their Cedar Waxwing cousins in that both have a nice crest on their head. But the Cedar version is much trimmer in their creamed coffee coat and are not as gragarious as the Bohemians who almost always travel and feed in a large social group. It seems this has been a good winter for bird sightings as folks out on the farms with feeders have a wide variety of winter birds visiting them. If you have some pictures we would love to share them with our readers so send them along.